Staff in the Center for Career & Professional Development are available to meet individually with students and alumni to explore various career options, create an internship or job search plan, or any other career-related issue. We offer two types of appointments: 45-minute counseling appointments OR 15-minute drop-in sessions. 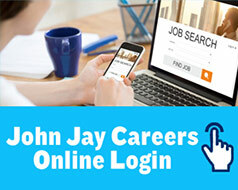 To request a counseling appointment, please log on to John Jay Careers online. Drop-In sessions are available all day Monday-Friday and must be scheduled in person in our office on the same day you wish to be seen. If networking is the most important tool to a successful job search or career advancement, your resume is your professional calling card. It is a critical tool to ensuring that your application is pulled to the top of the candidate pool. We encourage all students to develop a resume as soon as they arrive at John Jay College, and you should always attach a cover letter to that resume. To that end, our staff is always available through counseling appointments OR drop-in sessions to review, edit, and suggest revisions to your resume or cover letters. Graduate and professional schools often vary in terms of academics, faculty, students, location, costs, and admission processes. Finding the right program is very important. Our staff will help you sort through various information and assist you with each step of the application process, which includes helping you with GRE, GMAT, and MAT preparation. Students interested in law school will be referred to the Pre-Law Institute and students interested in medical school will be referred to the Department of Sciences. Three major events occur every year: the Graduate & Professional School Fair, and the Fall & Spring Job & Internship Fair. All events are open to all John Jay students and alumni. The Graduate and Professional School Fair will take place October 19th 2017, and the Job & Internship Fair takes place on September 14th 2017 & March 15th 2018. These events are unique opportunities for the John Jay community to network with recruiters from various industries and graduate programs. The Center for Career & Professional Development offers a regular workshop series on basic career skills to assist students and alumni in finding success. These workshops cover a range of topics including basic resume and cover-letter writing, interview skills, professional networking, job and internship searching, and dressing for success. To view our calendar, log on to John Jay Careers Online where you can view and RSVP for as many workshops as you’d like to attend! Throughout the fall and spring academic terms, the Center for Career & Professional Development will hold special events devoted to your career exploration featuring alumni and employers who will speak about the issues, needs, and requirements relevant to their industries. Whether you are still thinking about what jobs you’re interested in or are certain of your next step, these events will provide the information and opportunity to network that will be critical to your success! These events are listed on our calendar on John Jay Careers Online. The Center for Career & Professional Development maintains connections with over 4400 employers ranging from federal, state, and local agencies to community-based nonprofits to large, private corporations. Many times throughout the semester, these employers will come to campus and speak with groups of students about their organization, the recruitment requirements, and advancement opportunities. These information sessions are a wonderful opportunity for you to find out more about the various employers that regularly hire John Jay graduates! The Strong Interest Inventory is an interest inventory used in career assessment. The goal of this assessment is to give insight into a person's interests, so that they may have less difficulty in deciding on an appropriate career choice for themselves. If you believe you could benefit from this assessment, set up an appointment on John Jay Careers Online with one of our career counselors. The counselor can provide you with the assessment and review options for your career plan in a follow-up meeting!